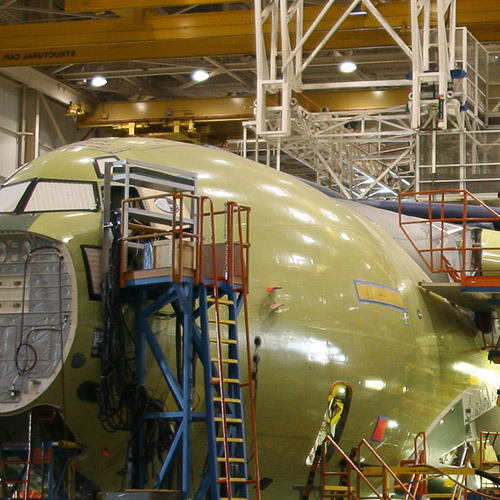 In aircraft construction, several hundred thousand rivets are usually used. Fully automatic machines are precisely fitting rivet holes and rivets. An optical inspection system from Micro-Epsilon inspects the inside diameter of the rivet holes without contact.